Hi there! This is my profile. I write about many various topics, and always try to help people as much as I can. Reading my Hubs can help you with various farming things, as well as indoors things too. I am always happy to help, and if you want help, or you have a question, just leave a comment. This article explains all you'd need to know about restarting a computer. 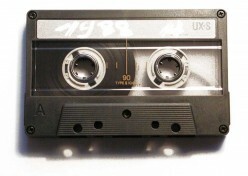 This article will describe the rise and fall of the Cassette Tape.